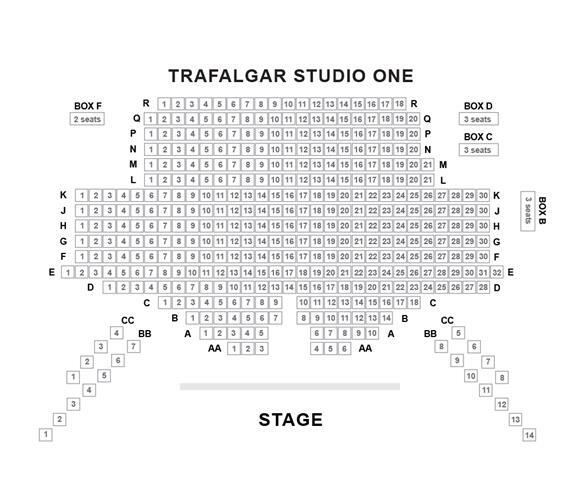 Tickets to Anna Ziegler's Actually at Trafalgar Studios available now! Tickets to the upcoming West End premiere of Anna Ziegler's play, Actually, are on sale now. Having received its co-world premiere in 2017 at The Geffen Playhouse Theatre in Los Angeles, the Williamstown Theatre Festival in Massachusetts, and the Manhattan Theatre Club, the Actually play is set to transfer to Trafalgar Studios this summer for a strictly limited, one-month engagement. What is Anna Ziegler's Actually play about? Tom and Amber are just two students at the same Ivy League university hoping to put the textbooks aside and let loose. When the two meet at a rager, they end up having a one night stand. There's no doubt in their minds that they were attracted to each other and they can't deny they agreed to drink alcohol. But what actually happened between them at the party? Anna Ziegler's 2017 play, Actually, dares to explore both dark and intense subject matter ranging from the validity of sexual consent, the complications that arise when both gender and race politics collide, and society's overwhelming desire to be one with the crowd. Perhaps there is not two, but actually three sides to every story. Actually is a provocative tale that takes place on one night between two people with three truths. If you enjoyed Nina Raine's hit play, Consent, last year at the Harold Pinter Theatre, you'll certainly be mesmerised with this year's Actually at London's Trafalgar Studios. Anna Ziegler is an American playwright hailing from Brooklyn, New York. She studied English at Yale University, an Ivy League School, before earning a master's degree in poetry at the University of East Anglia and an MFA in dramatic writing at New York University. Ziegler is no stranger to London's West End. Her 2008 debut play, Photograph 51, was staged at the Noel Coward Theatre in 2015 and starred Nicole Kidman as Rosalind Franklin. The smash-hit play earned Kidman an Evening Standard Award for Best Actress and Anna Ziegler a WhatsOnStage Award for Best New Play in 2016, thereby solidifying Ziegler's career as a serious playwright on the English-speaking theatre scene. Other notable plays penned by Ziegler include 2015's Boy, which was nominated for a 2016 Outer Critics Circle John Gassner Award, 2011's Another Way Home, 2015's A Delicate Ship, 2007's BFF, and 2015's The Last Match. Given Ziegler's recent track record as one of the hottest new playwrights, you certainly won't want to miss the London premiere of Actually this August! Book your tickets to see Actually in London at Trafalgar Studios 2 today from just £24! But hurry! The seats and performances are limited, which means West End Actually tickets will not last! Access description: One shallow step up from the street through double swing doors into the foyer. Box Office opposite. All staircases have handrails and steps are highlighted. 25 steps down then up 10 steps in to the auditorium (3 steps between rows). Theatre opens 1 hour before performance. Sound Amplification: Infrared system in the auditorium with 16 headsets, available from the box office with a deposit. Check with Box Office which seats in the auditorium have best reception. Guide Dogs: Guide dogs are allowed inside the auditorium by prior arrangement with the theatre, alternatively staff are happy to dog-sit. You will be seated in an aisle seat. Disabled Access: No spaces for people who need to remain in their wheelchairs. Transfer seating is available to Row A (3 spaces) and K (1 space). Access to Row A is through the Stalls Bar and Row K is up 14 steps. Wheelchair users must bring 2 people to help with the steps. The theatre can store a maximum of 3 wheelchairs per performance. Venue is not suitable for scooters. Toilets: 22 steps up from the foyer to women’s and men’s. More toilets off the Stalls Bar. Disabled Toilets: No adapted WC.